Seven families with children in the Hartford public school system filed suit against the State Department of Education, the Hartford Public Schools Board of Education and Gov. Dannel Malloy — among others — today over what they say are unfair enrollment quotas for Hartford’s magnet school system. The plaintiffs, represented by attorney Joshua Thompson of the Pacific Legal Foundation, announced the lawsuit during a press conference at the Capitol earlier this morning. Hartford’s magnet schools use racial quotas and a lottery system to determine which students are accepted into one of the city’s alternative school options. Hartford magnet schools have to reserve 25 percent of its seats for white or Asian students and are limited to only 75 percent African-American or Hispanic enrollment. However, the quotas have left some seats empty when the school isn’t able to enroll enough white or Asian students. The lottery system has also been bypassed in some cases as magnet schools tried to enroll star athletes, according to both a Hartford Courant report and an audit by the state auditors. The plaintiffs are Hartford parents who have continually tried to enroll their children in Hartford’s magnet school system but have been denied. The press release issued by the Pacific Legal Foundation, which is representing the Hartford parents, lists LeShawn Robinson as one of the plaintiffs. The Hartford magnet school system was created in response to the Sheff v. O’Neill Connecticut Supreme Court decision which ruled that Hartford’s racial segregation of students — although unintentional — violated their constitutional rights. The magnet schools were formed in order to create more racial balance and give Hartford public school students access to better schools. Thompson says the “race-based admissions” also violate the students’ constitutional rights. 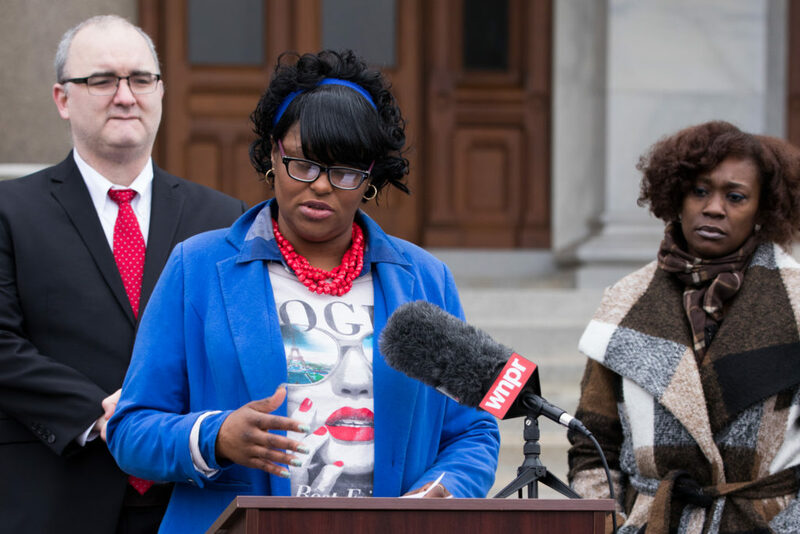 “We are fighting for their right to get the best education possible, and their race shouldn’t deny them the opportunity to attend an excellent school,” Thompson said. The Connecticut State Department of Education was not able to offer comment because the case is pending. The Attorney General’s Office said they will review any complaint and respond appropriately in court, but declined to offer further comment. The Pacific Legal Foundation lists itself as “a group of individuals united in our belief that personal liberty is essential to a thriving and prosperous society.” The group represents clients for free and challenges onerous government laws and regulations.